What World Do We Seek? If David Attenborough (the British Natural Historian, narrator of the video series, Planet Earth and a national treasure in the U.K.), gives a speech to the UN proclaiming the end of civilization and few hear it, does our world still collapse? If the President releases the Congressional report on climate change on Black Friday and no one heeds it, does it have an impact? If Trump tweets his denial of the substance of the report (which strongly affirms the reality of global warming) – does that mean anything at all? And, if the U.N. releases a chatbot designed to empower the people of the planet (at least, those with access to Facebook) to act in reducing carbon emissions, does that signal a democratization of the process or a profound cynicism as to the likelihood of an organized, intra-government, legislative solution to the climate catastrophe? We are being stress-tested on our ability to survive in the multiverse, the fractured continuum of space, time, matter and energy that manifests in parallel worlds where factual and counterfactual narratives co-exist. We are being asked, by our political circumstances, to believe in both truth and untruth, the fake and the real, and yet retain our equanimity. We are being asked to hold two opposed ideas in our mind at the same time and still retain the ability to function – a feat that F. Scott Fitzgerald considered “was the test of a first-rate intelligence”. We are being asked to consume and to conserve; to change and to sustain; to believe in progress – time’s arrow, and in the everlastingness of a regenerative natural world – time’s cycle. 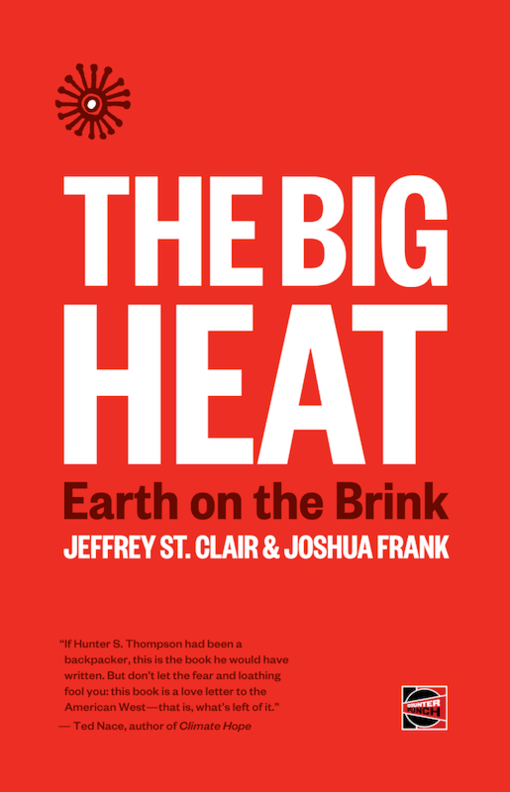 We are being asked to believe in the possibility of continued fossil-fueled economic growth while that phenomenon’s miasmic specter of global warming threatens to destroy the productivity and habitability of vast swathes of the planet. And, we are being asked, now, to believe that the server farms that support Facebook run on fairy dust. What’s a second-rate intelligence to do? Last year, at just about this time, I wrote, “At the recent twenty-third session of the U.N.’s Conference of the Parties (COP 23) in Bonn, Germany, there was the usual byzantine wrangling by committee on the ways and means by which greenhouse gas emissions might be reduced globally, states might sustainably adapt to climate change and the Global North might recompense the Global South for causing the whole mess in the first place”. “On Sunday morning hundreds of politicians, government officials and scientists will gather in the grandeur of the International Congress Centre in Katowice, Poland. It will be a familiar experience for many. For 24 years the annual UN climate conference has served up a reliable diet of rhetoric, backroom talks and dramatic last-minute deals aimed at halting global warming”. A tepid response from those assembled in the great hall to Attenborough’s challenge for “a continuation of civilization” which, he charges, “is in your hands”, may reflect on the conference’s conflicted setting – most immediately, the three year old behemothic steel, glass and concrete box by JEMS Architekci, artfully and faux geologically fractured mid-span by antic planes of grass atop yet more concrete (a material whose production is dependent on cooking limestone which releases encapsulated carbon stored over geologic time scales). The conference center is set in the regional capital of Poland’s coal country, responsible for supplying 80% of Poland’s electrical energy consumption. After twenty-four years and still going strong, the U.N.’s shadow play of climate kabuki is set for an apparently interminable run. It has reached an apogee of Sisyphean futility that echoes the earth’s endless geological cycle (interrupted at its surface only by the mass extinction events presaged by spiking levels of CO2in its atmosphere). The U.N.’s Paris Climate Accord of 2015, has barely scratched the glittering, lithic surfaces of a civilization it is bent on preserving. This year, COP 24 turned to the exhortations of the nonagenarian David Attenborough. Somebody at the U.N. deemed it a good idea to have the esteemed Attenborough shill for the U.N.’s Act-Now bot.The organization intends, it seems, a neo-Bushian campaign of ‘a thousand points of light’. Attenborough pointed to an empty chair in the hall labelled ‘The Peoples’ Seat’. The U.N.’s web site heralds, “The renowned broadcaster, Sir David Attenborough, has announced the United Nations’ launch of a new campaign enabling individuals the world over to unite in actions to battle climate change”. Did I detect a squirming in the hall (via the video feed) amongst the delegates who represent the almost 200 nations that were signatories to the Paris Climate Agreement, and are, perhaps, under the impression that they represent the world’s people? Are they now to be replaced by a single seat and a Facebook app? Also released at COP 24, was the report by the Global Carbon Project which estimates a 2.7% rise in global CO2emissions in 2018, up from 1.6% in 2017, after plateauing for the year following the Paris Accord. Meanwhile, the City of Light, whose Latin motto of Fluctuat nec mergitur, translates roughly as, “She is storm-tossed but does not sink”, is being battered by les gilets jaunes or the yellow-vests, demanding an end to increased fuel taxes and demonstrating a profound dissatisfaction with the leadership of Emmanuel Macron, their president. Rioting continued over the weekend. What world do these yellow-vests seek? There are some parallel universes that they (and others) might desire. One such is proposed by Thomas Piketty (author of the magisterial Capital in the Twenty-First Century, 2013), in a manifesto issued on December 10, 2018, in which, within the EU 28, are proposed a meaningful tax on carbon emissions, an end to the tax evasions of major corporations such as Google, Amazon and Apple and a tax on the uber wealthy and their assets. Piketty, along with a cohort of fifty other progressive politicians, historians and economists, proposes a new, sovereign European assembly composed of members drawn from national governments (80 %) and the European parliament (20%). Generously funded, as outlined, the assembly then would tackle the continent’s most intractable problems of wealth disparity, migration, global warming and democratization. This assembly would be supra-governmental institution designed to transcend the legislative log-jamb of traditional agencies. It is proposed as a parallel government that might takes its place alongside of Europe’s other democratic institutions. The Manifesto imagines a fracturing of traditional centers of power but not their eclipse. In the shadow of the failure of the United Nations’ to deal effectively with planet’s many woes, we citizens of the world, long practiced in surviving in the multiverse, might take note of the possibilities that such parallel, imaginatively funded structures of power might afford us.